Few cosplayers and street performers can rival the raw talent and comedy character that is D-Piddy. Hailing from Los Angeles, the mysterious content creator cosplays regularly as Deadpool, but has also been seen with other outfits such as Kakashi, Skeletor, Kylo-Run, and more. 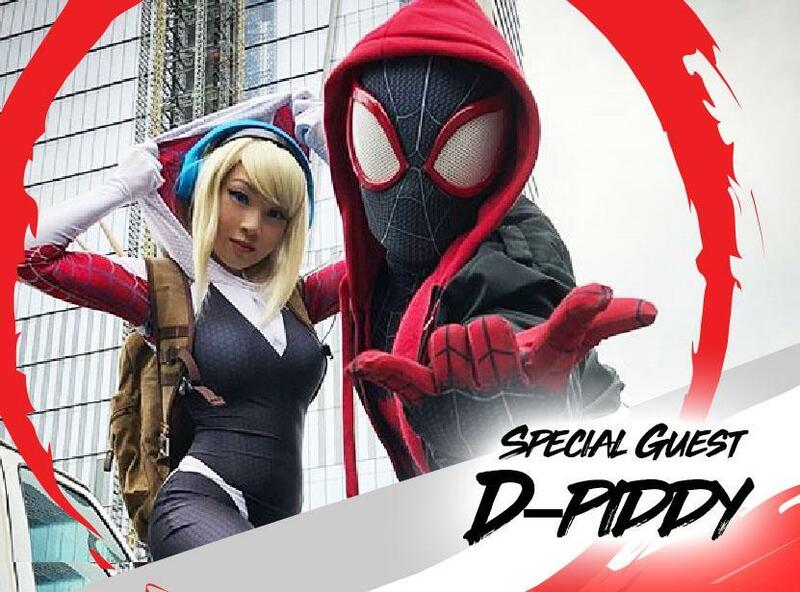 With a YouTube presence of nearly a million subscribers (and climbing), D-Piddy is an online sensation dating back to 2012 and has collaborated with companies and cosplayers all around the world. You can find D-Piddy regularly hosting for companies such as Loot Crate, ARC System Works, and more. Find D-Piddy at AniFest where you might catch him creating the next convention video. And if you do, make sure to play along!